In a fierce fight that has been raging in South Sudan for quite sometime involving Ugandan troops and South Sudan's army, a US journalist was shot dead in Yei River State. Christopher Allen was a journalist covering the civil war that broke out between South Sudan government and those supporting Macher. The embassy confirmed the death of Christopher Allen and said his family had been notified. 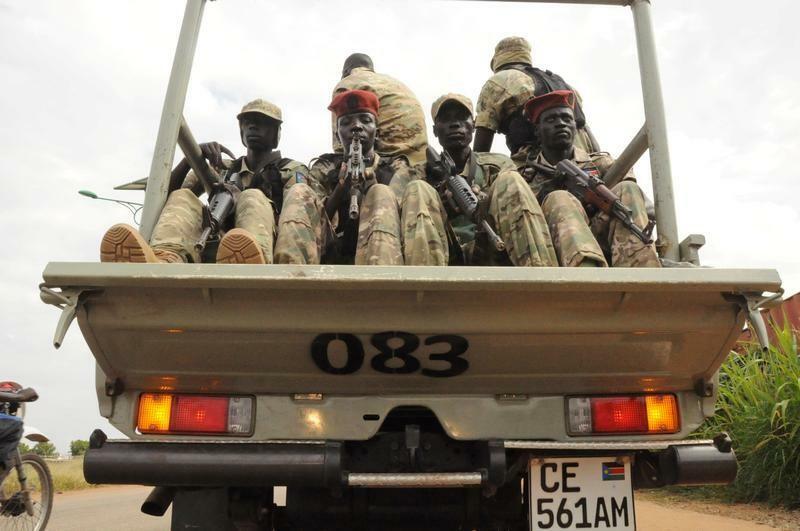 His body was taken to the military hospital in South Sudan's capital, Juba. The State Department is going to investigate the death. Uganda government has provided troops and it is a major supplier of weapons to Kiir's regime. South Sudan army spokesman Col. Domic Chol Santo told The Associated Press that the man was killed Saturday morning when opposition rebels attacked the town of Kaya near the Ugandan border. The Uganda People's Defense Forces (UPDF) just opened fire while retreating from the rebel forces killing the US journalist. UPDF returned fire killing Christopher and 19 others. Allen was an investigative journalist and his work was cut short by his death. The government of Uganda just bought military hardware from France and the weapons were delivered to South Sudan to reinforce the South Sudan military. Museveni has been very vocal against an arms embargo against South Sudan and the Uganda government purchases arms for South Sudan thus keeping the war going. Uganda has just lost numerous troops in Somalia in an ambush by Al-shaaba, the terrorist group trying to take over power in the horn of Africa. The fight in South Sudan has forced many refugees from South Sudan into Uganda and it's believed to be in millions. These refugees once in Uganda, each is given between $200-250 for resettlement and promised free land to start a new life in Uganda. Meanwhile the Uganda government is currently debating confiscating land from Ugandans for government use without the consent of land owners and without compensation until after the fact with the compensation being determined by the same government. DON'T LET THE SMARTPHONE BE SMARTER THAN YOU. Uganda. Now Arsenal has become commedy.